Learn about the different types of teas and how the health benefits of tea might extend to your pet bird, too. According to Chinese legend, around the year 2700 B.C., Chinese Emperor Shen Nung observed that the water in his cup had changed color after leaves had blown into it. He was pleased with the mild taste and continued to experiment by brewing leaves from various plants. Over time, this practice spread around the world, and there are currently many types of teas and a vast number of brands to choose from. Tea is brewed using leaves, flowers, buds and twigs from a variety of plants. One of the most popular still is the common tea leaf, which comes from the plant Camellia sinensis, a flowering shrub native to China (sinensis means “Chinese” in Latin). Ever since that first “accidental brewing” in the emperor’s cup, scientists have discovered that drinking tea introduces important nutrients and minerals to our systems and has a wide variety of health benefits. Chamomile tea is sometimes used to help birds that feather pick. Consultant with your avian veterinarian before trying this method. Although water quality is important for our pet birds and parrots, what birds drink in the wild is far from sterile. Many species of birds visit water sources like tree hollows into which these plant components leach tannins, other compounds and minerals. We have all seen wild birds drinking from what appears to be “dirty” puddles and other water sources. However, many contain a type of “tea” from the leaves that have fallen into the water. Different types of Camellia teas are commonly used, and they differ according to when the leaves are harvested and their preparation. These plants also differ in their benefits to us and our birds when they are consumed. Teas from the Camellia plant include the popular green and black teas, as well as white tea. Green tea consists of young leaves that are picked and quickly dried to avoid oxidation. Oxidation is simply the leaves absorbing oxygen while drying, which causes biochemical changes to the leaves, similar to fermentation. We’ve all seen oxidation at work when apples turn brown after being sliced. Black teas are oxidized before firing, giving them a more wilted look. On the other hand, white tea is picked before the leaf buds have opened. They are steamed and quickly dried and are also unoxidized. Each of these teas has its own benefits for you and your birds. Teas can also serve as a great enrichment tool; use a different type each day to keep tea stimulating and engaging. These methods of introduction will hopefully allow you to provide more diversity in your birds’ diets. Check with your avian veterinarian for guidance in regard to the frequency, amount and types of tea you might offer your bird before incorporating giving tea to your pet bird. Green tea: Green tea possesses potent polyphenols, antioxidants found in plants that have amazing benefits that include regulating cholesterol, reducing blood pressure and aiding weight loss. Research journals have cited additional benefits. It may prevent gene damage, which can lead to cancer, reduce heart disease and decrease the incidence of stroke. Green tea also helps boost the immune system. Black tea: This tea also possesses antioxidants that help maintain healthy blood vessels and promote healthy blood flow. Black tea is sometimes used specifically for softbill birds, such as green aracaris. Softbills are prone to iron-storage disease, and the tannins present in the tea bind to dietary iron and prevent it from being stored in the liver. Many aviculturists, including zoos around the world, use black tea for other iron-sensitive species. White tea: White tea has a host of important antioxidants that deters gene damage and inhibits the start of cancer. It helps the body break down cancer-causing agents and acts as an antibacterial, anti-fungal and antiviral agent. Evidence suggests that white tea supports bone health and density as well as enhancing skin health. 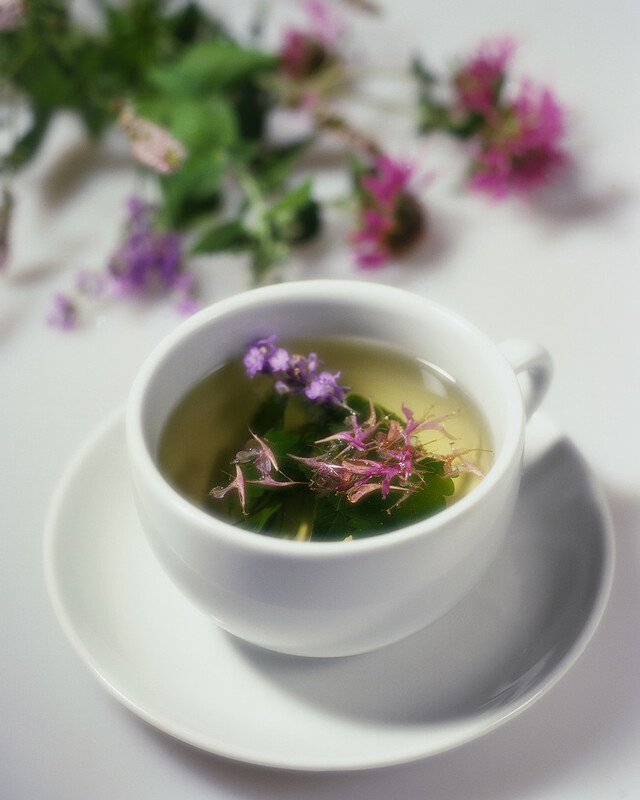 Herbal teas originate from plentiful sources of various flowers, leaves, buds and other plant components. Each herbal tea has its own array of health benefits corresponding to its unique chemical composition. Chamomile tea: A well-liked tea. The flower is used to brew this tea and many find it effective in settling indigestion and calming nerves. It also contains antibiotic properties and relieves muscle spasms. It has frequently been offered to birds that are prone to night frights. Chamomile acts as a natural sedative and helps eliminate insomnia, anxiety and stress. These properties might help birds that pluck or chew their feathers. Some owners who struggle with their parrot’s feather mutilation use cool chamomile tea in a spray bottle. They mist their bird’s feathers and the bird ingests the tea while preening. Calendula tea: Calendula, a flower in the marigold family, contains fair amounts of beta-carotene. It has been used as an anti-inflammatory and antibacterial agent. These properties make it beneficial for the skin. It has been successful in reducing sunburn. This tea assists in detoxifying the body and helps limit the occurrence of digestive problems like ulcers. Rose hip tea: This tea has a tangy citrus flavor and it’s high in Vitamin C. Rose hips help cleanse the blood and maintain liver and kidney health. Some find it good for fatigue and seems to help the body recover from illness. Peppermint tea: This tasty tea has an irresistible flavor and is useful for digestive upset. It has antiseptic properties and contains compounds believed to possess antiviral characteristics. Ginger root tea: This tea has been used to relieve pain from arthritis and to improve circulation. Ginger root aids in eliminating nausea. Anise seed tea: This tea is effective in treating respiratory irritation like bronchitis. Anise can be used to halt coughing and soothe inflamed airways and has been found to ease indigestion. Raspberry leaf tea: This tea is a very useful and potent tonic for female birds and can be a valuable aid to breeders. Raspberry leaf tea helps stimulate the muscular contractions in the female reproductive tract and helps pass the egg with less complication. This tea has been used successfully with egg-bound hens, and many zoological institutions use it with other species besides birds that may have complications during labor. Rooibos tea: While lesser known than other varieties, rooibos is high in mineral content and has many advantages. It is known for calming muscle spasms and indigestion as well as possessing antiallergenic and anti-inflammatory properties. Rooibos also works all the way down to the genetic level by maintaining chromosome integrity due to its anti-mutagenic elements.